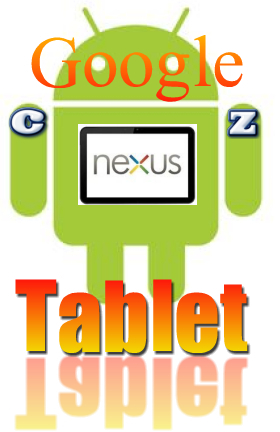 The Google Nexus Tablet - Let's Talk Specs! Time to go into depth with the latest rumors of what specs we ex-spec-t to see on the Google Nexus Tablet that Asus will be cranking out late this month! At $149, this could be a steal if even half of this pans out. I'm crossing my fingers and hoping for the best, because this could end up being the number one value for an Android tablet on the market. The challenge to making this device is creating something of quality (as they are claiming) and keeping the price down to a minimum. That's no easy task. So we have to keep that in mind as we look at the rumored specs. The 7" size is the perfect size for a tablet in my opinion. Plus, its a cheaper build. The resolution on the Google Nexus Tablet should be in the 1024x600 to 1280x728 range. That's plenty enough for high quality multimedia content without going nuts and creating something along the lines of a Retina display. It is supposed to be similar to what was used in the Samsung Galaxy Tab 2, which nails the good quality/low cost target. Look for a dual core 1GHz CPU to power the Nexus Tablet. It's good enough for current technology and the average user, and doesn't carry the price tag of a quad core processor. It should be plenty enough to push apps and support multitasking without a problem. The GPU is rumored to be a PowerVR SGX540. That comes in exactly at average. It was the top GPU about 2 years ago, and was featured on the original Samsung Galaxy S tablet. That's enough to push 1080p HD video. This would be the perfect happy medium between price and functionality. I'm betting on 1Gb of RAM, even though the up-and-coming tablets will be pushing 2Gb as the new standard. But for an entry-level fuctional tablet with a super low price, you don't need it. Storage-wise, my best wild guess would be 8Gb of flash memory for apps, music, videos, PDFs, and other file types stored to the device. 4G LTE radios are all the rage. But it's not necessary for this device. Look for basic WiFi capability, and no 3G/4G wireless radios to be built in. With the ability to stream data service from a smartphone and the availability of free wireless hotspots, WiFi is the choice to keep the price at rock-bottom levels. Most people who are focused on price (like me) will not worry about 3G/4G service anyway. That way, there's no fuss over 2-year contracts or monthly premiums to make this a self-sustained internet device. Some people are floating out rumors that the Nexus Tablet will feature the upcoming Android 5.0 "Jelly Bean" operating system. I don't totally buy that notion. Actually, Android 4.1 is code named "Jelly Bean", and I'm thinking this is what we will see. To be honest, I'd be perfectly happy with Android 4.0 "Ice Cream Sandwich" which isn't even available on my Samsung Galaxy S2 smartphone at this point. So anything above Android 2.3.5 "Gingerbread" will be a real tasty treat (pun intended). Most sources are stating June 27th to 29th will be the announcement time, when the Google I/O developer's event is scheduled to take place in San Franscisco. This is when they will break out the news for the new Android operating system "Jelly Bean". That would be the perfect time to have an official news release. But that doesn't mean it will hit stores at that time. I would look for a late summer release of the device, but not too late. We all know how fast new Android devices are released to market, nothing like the once-a-year format of the big fruit company. So there you have it. My official rumored specs for the Google Nexus Tablet. I could still be first in line for this... unless Microsoft steals my attention with their special news announcement on Monday! Stay tuned for more details!